I have used this design in one of my previous classes and with a few leftover "trees" I decided to incorporate it into this class. I love how unique the trees are because of the randomness of the little triangles which allows everyone to put their own spin on their cards. 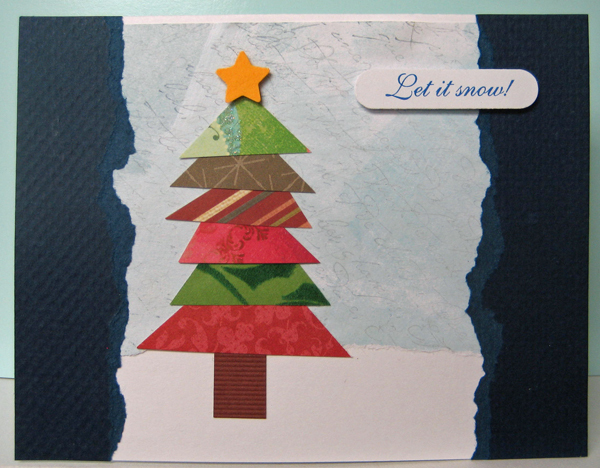 The background (light blue floral paper with snowflakes stamped on it) is torn across the bottom creating a snowbank by revealing the white of the card front. 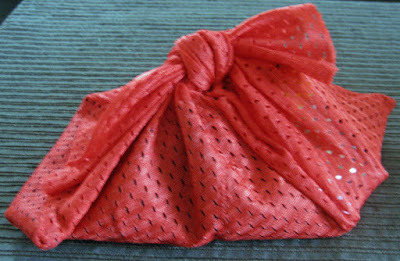 I glued it even with the top of the card. The torn edged dark blue rectangles were glued in place after that. To build the tree, I glued the brown trunk onto the snow bank and then glued triangles in place over the trunk until it was tall enough. I added a yellow punchie star at the top using 3D foam tape. I layered the laser printed font greeting punchie (SU Word Window) over a red label punchie (SU Decorative Label) and mounted it to my card front using 3D foam tape. 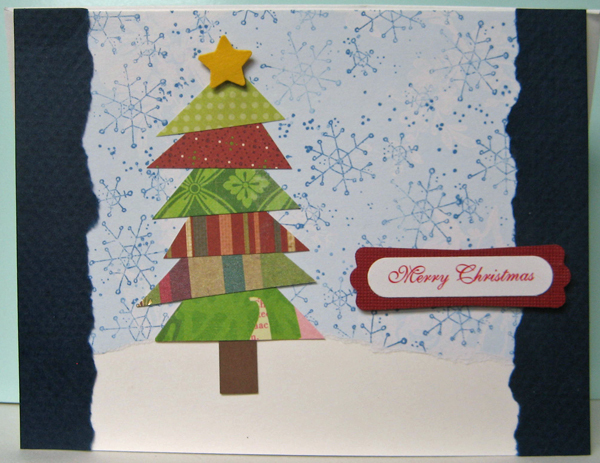 This card uses a different background - a hand decorated piece of paper with light blue/aqua paint on it. I used a single layer for the greeting and chose to glue my layer just a little off of the top of the card. 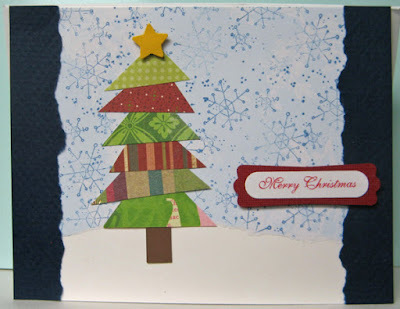 A fun card for this Christmas season. I counted my cards today and I will be short around twenty so I will see about getting some of these cards kits made up after my second class on Monday.